Are you interested in ggplot2? Or machine learning, data visualization, r programming? Join one of the most comprehensive & affordable machine learning & data science course. Ggplot2 is an advance R library designed for creating charts. Ggplot2 is one of the 3 graphics system in R, other than base and lattice. it was written by Hadley Wickham. 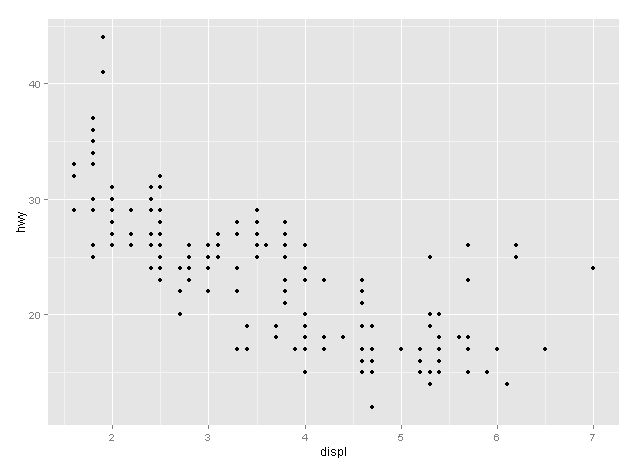 As mentioned above, these are two ggplot2 functions which are used to create graphs in R using ggplot2 graph system. The utilization of either of them depends upon the complexity & requirement of the project. ggplot() is the core function and it is used when qplot is not sufficient whereas qplot is used when you are not looking at too much of functionality. •  geoms: points, lines, shapes. •  facets: in case of conditional plots. In upcoming post, we will see more graphs using ggplot2 and other graphics system in R. If you have any question or suggestion, please leave your comment.